Q. How do I use the databases? Databases can be searched similarly to how you would search in OneSearch or in the library catalog. Most databases are searchable by keyword or subject. The link to SC4 Library's 200 + databases is http://esearch.sc4.edu/az.php. 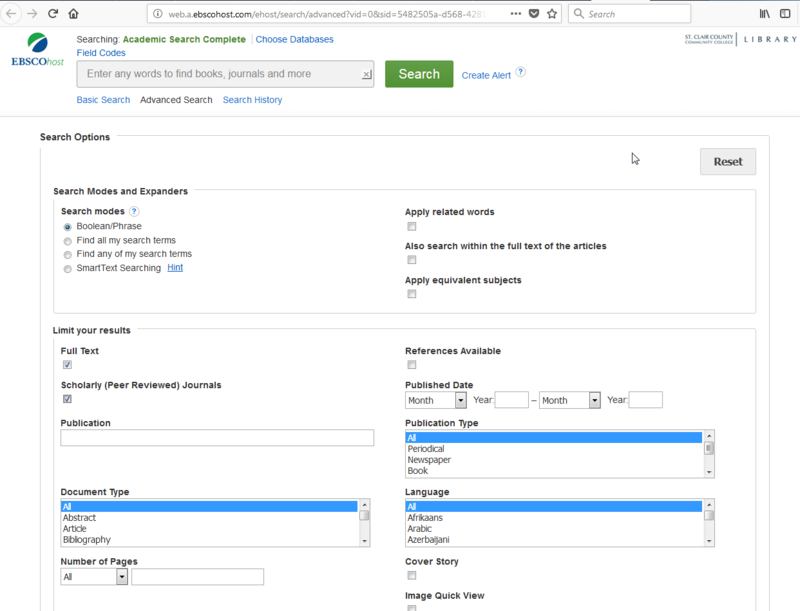 As this image from the database Academic Search Complete's advanced search shows, you may search using Boolean operators (AND, OR, NOT) or by searching for any or all of your search terms. You can also narrow down your results by publication date, by publication type, by full text, and by many other limiters which can aid in finding sources that are the best match for what you're looking for. If you would like further assistance in searching the library databases, please contact a librarian!